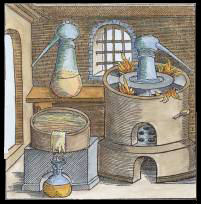 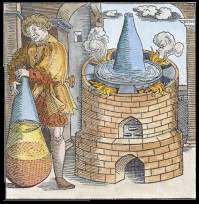 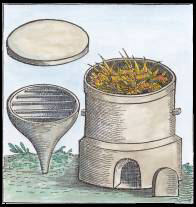 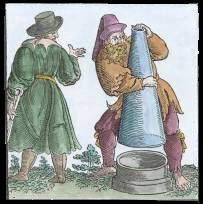 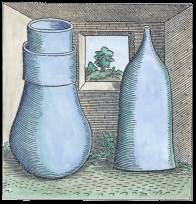 The compendium De alchemia issued in 1541 at Nurnberg contained ten alchemical texts, three of which were by Geber. 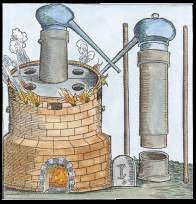 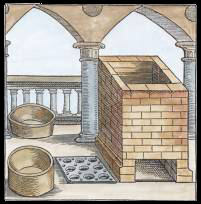 Geber was the latinised name of an early Arabic alchemist Jabir ibn Haiyan al-tarasusi. 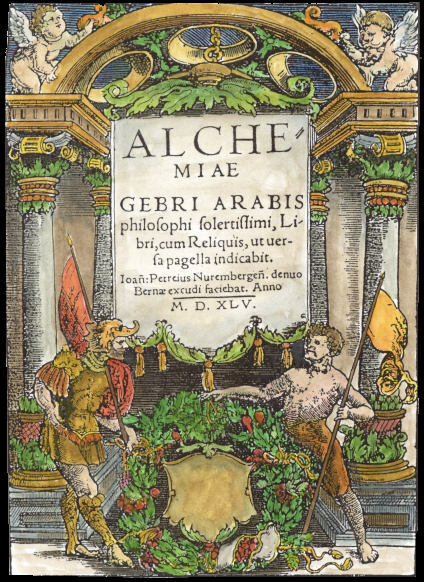 Geber's treatises 'Summa Perfectionis' and 'Liber fornacum' were illustrated by nine woodcuts. 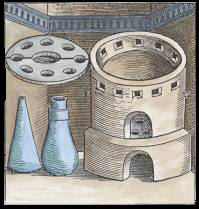 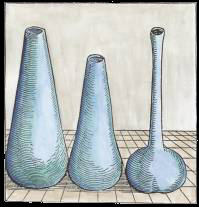 These images, though not emblematic, were influential on the designs of later alchemical emblems.